The account change will not result in layoffs at DJE, Richard Edelman said. CHICAGO: No layoffs are expected as a result of Kellogg moving its PR work to Weber Shandwick from DJE Holdings specialty shop Krispr, said Richard Edelman, president and CEO of Edelman and executive chairman of DJE Holdings. The Battle Creek, Michigan, company handed Weber its influencer-focused PR account after a months-long review that began last November. Edelman said that everyone at Krispr, which has 25 to 30 staffers, will remain employed by the company. "The first thing to say is we’re a family company," Edelman said. "The people in Edelman will be reassigned, not like at the holding companies, where, when they lose a client, they do what holding companies do. That’s not happening here." Krispr, originally called K Group Public Relations Company, was created in 2012 to handle the Kellogg account and allow Edelman to avoid potential client conflicts, particularly with the PepsiCo-Quaker brands Edelman represented. Kellogg had initially selected Weber Shandwick and sister agency Current Lifestyle Marketing to lead PR for its U.S. brands in 2011, but the agencies had to resign their roles due to possible conflicts within Interpublic Group. Edelman said the future of the Krispr brand is uncertain. He added that Krispr staffers will likely be reassigned to "significant wins we’ve had in Chicago that we’ll be announcing in the next few weeks." Edelman said none of the employees will be expected to move. "Over the last seven years, we’ve done some really great work and they’ve chosen to go elsewhere," he said. "Are we going to keep the Krispr name and all that stuff? I’m not so sure. We don’t really need a team Kellogg now." Kellogg’s decision to switch agencies came amid a turnaround in sales. Organic sales were flat last year, an improvement after four years of negative numbers. 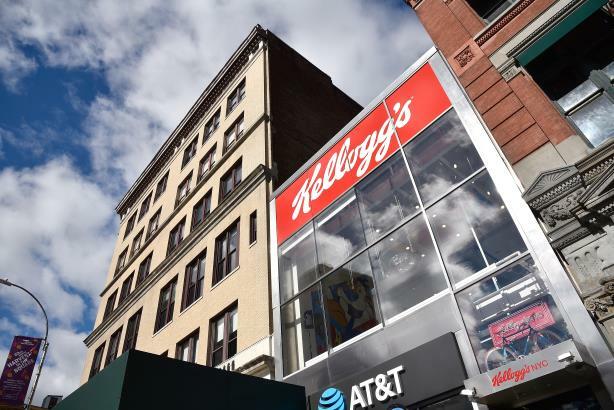 In a presentation Kellogg made in February to the Consumer Analyst Group of New York, the company reported 1% to 2% growth in organic sales in 2019. Kellogg also said on Monday that it has agreed to sell brands including Keebler and Famous Amos to Ferrero, the maker of Nutella, for $1.3 billion. Sard Verbinnen & Co. is working on deal-related communications on behalf of Ferrero.